.......Welcome to the Complete Auto Credit Card Financing!!!! 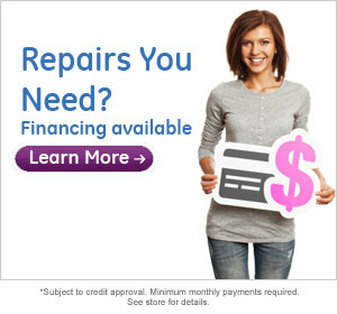 We at Complete Auto are so excited to be able to bring you our very own Complete Auto credit card that will not only help to balance your budget on your auto repair expenses, we can help provide you true purchasing power and savings by offering either 6 or 12 financing with NO INTEREST*. We realize that our financial budgets play such a big part of everyone's daily lives and sometimes it is simply hard to swallow the cost of unexpected repair expenses.....or maybe you continue to put off doing preventative maintenance because it just doesn't fit into this month's budget. No worries, Complete Auto can now offer all of our customers another value added service by helping you balance your budget and make it easier then ever to care for your vehicle. You may be saying to yourself that "this sounds great, but my credit is not all that great so I don't think I will qualify". Never underestimate the power of flexible financing; even those without strong credit have a good chance of getting approved. Even better, if you are credit challenged and you do get approved, by making timely payments, you will actually build your credit! CALL COMPLETE AUTO TODAY AND APPLY....IT WILL ONLY TAKE 5 MINUTES AND APPROVAL IS INSTANT!!!!! !